…Interesting things that we all rely on a day to day basis to meet our daily schedule. I hadn’t needed one so far. At Lashkar Gah, between all the guys in the morning who rustle around the tented accommodation at ‘sparrow’s fart’, the morning tent-shaking delivery of stores from whatever helicopter passes overhead, or the fact that there are plastic windows that are never closed in our pod, ever, it’s pretty much guaranteed that I will be awake with plenty of time on my hands to get to the gym, have breakfast and walk to work at an unbelievably slow pace. Annoying as that all is each morning, what it does mean is I don’t have to worry about not waking up or setting an alarm. Ok, the helicopter may change its schedule, but the sun will definitely still rise, and I would risk my house on the fact that somebody will catch some part of their body armour’s male Velcro, on the female Velcro surrounding the tent doorway, and have to prise themselves off it. It’s not that noise that wakes me; it’s the angry vocal expletive that accompanies it that does… but also makes me chuckle. So there I was at MOB Price having expected to be on a flight home, but instead being told that I was up and out first thing in the morning on another operation. It was around 2000 hrs when I finally got into the transit accommodation, and I was due to be up and out at 0300 hrs. I have no clean clothes, and not really any time to wash them. I had to dig into my kit, re-pack, dust everything off and charge all my camera batteries, which were flat. The unit’s press officer was looking me after. He was gracious enough to loan me a pair of clean socks for the off. I will get them back to him at some point.. I decided to take a chance and swill one set of underwear out in the sinks. I left it hanging outside the tent and hoped for the best. I turned my camera kit around and re-packed and finally laid down at around 2200 hrs. As I laid there eyelids flickering, it occurred to me that I had absolutely no way of ensuring I was up ready to be out at three. Jumped out of bed, and ran over to the NAAFI. They had sold out of alarm clocks so I ran over to where the press officer worked. He had called it a night and I didn’t know where he lived. There was hardly anyone around camp to even ask, so decided to head back to my room. When I got back, another traveller had slipped in, and was just unpacking his gear. It was a cruel call, but I sweet-talked him into setting an alarm on his iPad to wake me up. Nice one.. Shut eye, at last. You never really get a good night’s sleep when you know you are up early. This was no different. I engaged autopilot from the second I heard the beep beep. Shower, shave. The usual drill, with eyes wide shut. I grabbed my undies. Yep, they were still damp, but that would be refreshing so on they went. I got down there and ‘tipped my hat’ to the OC, Major Rob Futter, and the Squadron Sergeant Major, WO2 Grant Turley. It was good to see them all again, as we had shared some laughs on the previous trip. This time, I was going to take a seat with the OC in his command vehicle, which was a Mastiff. The crew consisted of Taff, a Welsh Reservist, Britt, a man with obsessive neatness around the vehicle, Tex, the OC’s signaller and a crap-hand at poker (which reminds me of the 20 you owe me..) and the boss. They made me feel as welcome as ever. I was even given a computer to play around with in the back, and shown the text communication systems. The OC filled me in on all the finer details of the plan. Simple as always. 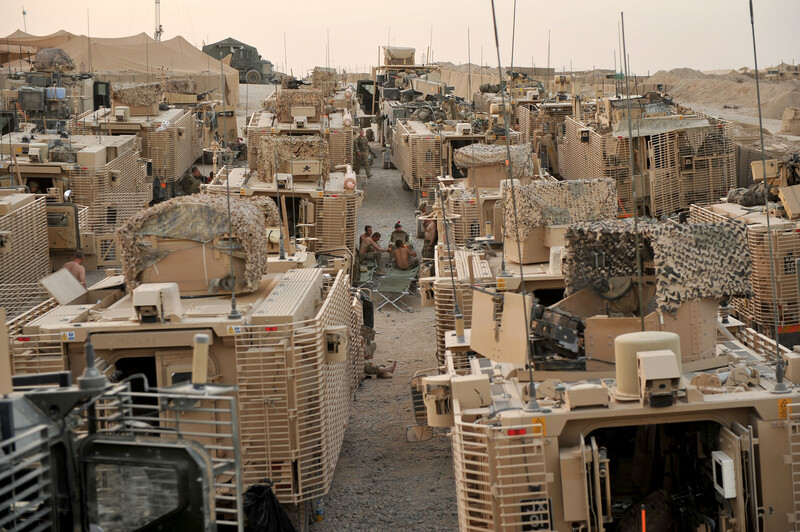 Convoy move to a location, rest up and be prepared to provide logistical support where necessary. As always, I squeezed out the information that was relevant to me. The whole task was going to last between three and nine days. I am sure I made the confirmatory sniff to the armpits of my shirt as subtle as possible when the OC gave me the time-frame. Actually, why was I worried? Even though the convoy was going to top my first bout of 26 hours by nearly another 10, I was in good spirits, because we could wash our gear at our end location; couldn’t we? Well actually, no. There was no room at the inn for the amount of axles we rolled with, so we were going to once again leaguer up in the desert. I even managed to crack a smile. Once on the road I got down to the usual task of getting what images I could from the top hatch. We were trucking through the desert this time, and the scenery was different from the green zone, but unfortunately a bit bland. I got convoy images, but wanted to catch the OC in his top cover duties as that made for a more interesting shot, and wouldn’t be posed. This proved more difficult than you can imagine. As a photographer, I wanted everything to be as ‘perfect’ as it can be, for the picture. Sure there are always outtakes and images that never see the light of day, but as this is a blog about photography, as much as it is about being an Army Photographer I want you to see the differences. During a convoy that is heading in one direction for hours and hours, it’s hard to get the shot you want (if you are only using available light) when the sun is in the wrong place. This is also made worse when you can’t be stood there for hours and hours. I was popping up and down as the patrol moved on and kept on checking on my friend, the sun. Here is an image that doesn’t make the cut. The light is not that great. However, when the ‘stars align’, in this case, the sun, the whole image can be turned around. I hope you agree, it was worth trying again and again. Happy with that image, I sat down again in my seat and pondered the mysteries of life for another five or six hours until our first rest stop. I am aware that after my last blog a lot of people are interested in the bodily functions that us guys and girls have to do when we are locked in the back of a moving vehicle for so long, and need to keep hydrated. Let’s just say that as the hours roll on by, the collection of full bottles builds up at the back of the wagon. Fortunately, different manufacturers make bottles with varying opening sizes. Hang on, hang on; before you all run your minds off to the gutter please let me explain. The smaller water bottles are great for the tarmac roads, whilst the energy drink ‘Gatorade’ sized bottles are more your rough-terrain pee-bottle. If you use all your supply of larger bottles up too early in the journey, whilst still on the tarmac, then purging one’s self could become quite interesting when it comes to the uneven ground. Trust me; when the truck is bouncing in every direction, the last thing you want is to do is worry about a ‘rogue stream’. Luckily for us, the journey was broken up with a five-hour stop over at a military base. In we rolled, parked up close and stretched our legs. I still laugh today as I recall watching a steady stream of people emerging from within the tightly woven vehicles in the general direction of the toilets, each person clutching a collection of bottles. Only the military would find this funny. The guys got down to administrating their vehicles in all sorts of ways. Dust filters needed cleaning, water stocks had to be updated, and minor repairs had to be made when bit’s had been damaged on the terrain. It was still daylight, but the sun was fading fast. Camp cots were being positioned all around, and once food had been consumed, it was time for shut-eye. I busied myself grabbing pictures, and managed to snap Taff in front of a setting sun. During our short stay, I met another two dogs. 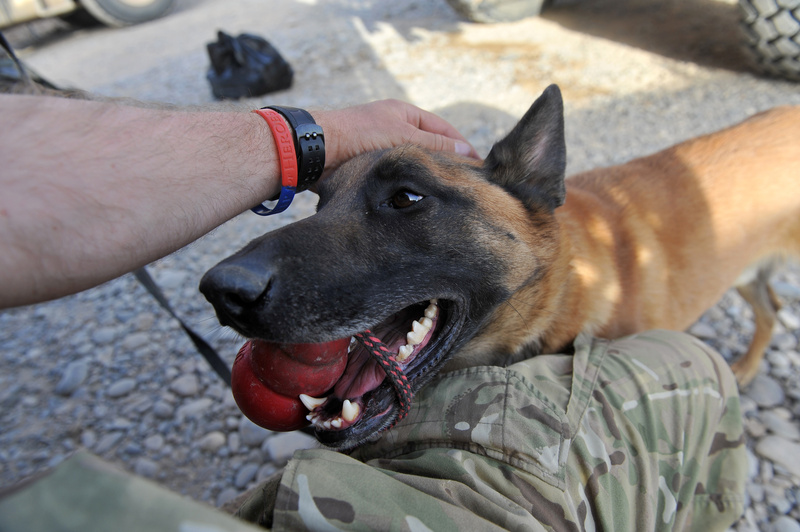 One was a protection dog, Bodo a Malin-cross, pictured below, who was handled by Private Chris Jones Royal Army Veterinary Corps and the other was a black Lab called Onyx, a search dog handled by Trooper Jordan Davies. (A ‘Tankie) Bodo took an instant like to me. Or was it the other way around? 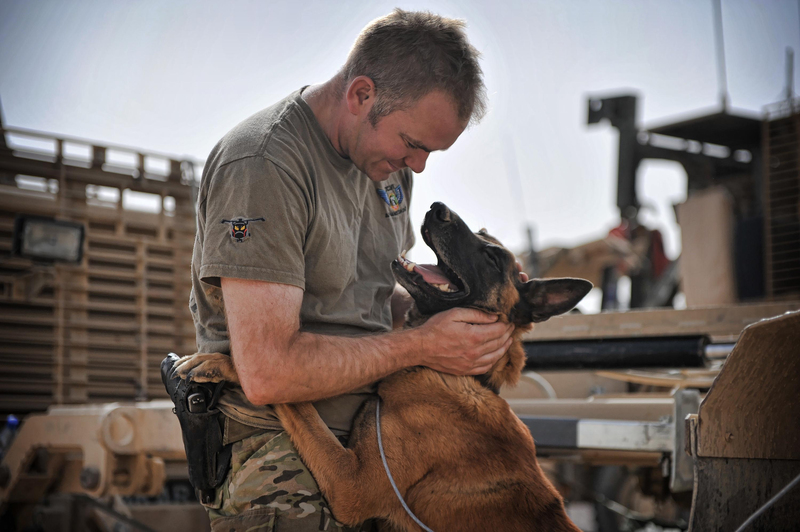 I have always loved dogs and always wanted one, but couldn’t justify it whilst in the Army. I am away too much to stress about keeping it exercised. One day maybe. After a few hours shut-eye, we rolled out. Thankfully it was only another three-hour sprint to our final destination. In the words of the fantastic Tina Turner; “Big wheels keep on rollin’”. As we pulled into our intended leaguer area, the Danes where pitched up beside us, and behind them as if by magic were the Warthog Group; they had pipped us to the post. I smiled, as I know I would have had a much comfier ride than the guys on tracks. There is always somebody worse-off. I went and said hello to the guys. It had been little under 48 hours since I saw them last, but it was like a year break, and the catch-up banter was cruel, in a way I believe only soldiers understand. Back over at the CLP leaguer area, everyone was starting to pitch camp, and find his or her little spots for the coming days. I was met by a frustrated looking Britt, who had shoe horned himself out of the driver’s position only to find the rear of his truck had been messed up by yours truly. He quickly got on with re-administering it. I joked he would make a good house-husband and his frown deepened. As I came to realise over the time I spent living with this truck full of guys is that having someone who takes great pride in making sure that every detail is ‘squared-away’ is a real god-send. To Britt, this mastiff was his baby, and he looked after it, and thus, looked after us. So thank you, man. My bed, bottom right. The wind and sand was unforgiving. One of the first things I noticed was how fine the desert sand was. It actually was more like dust, and there seemed to be a constant wind whipping up everywhere. Dust and sand got everywhere. There was no stopping it, and quite frankly, it was brutal. Nowhere was safe, less in a sealed wagon. 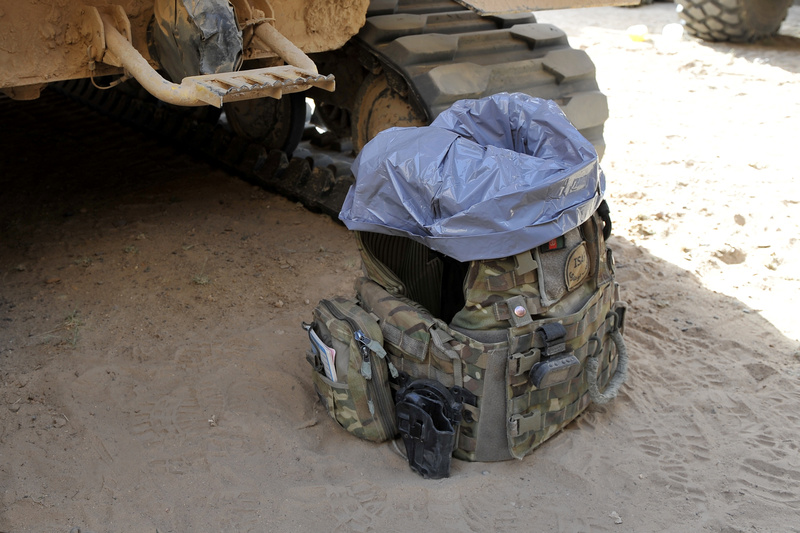 It was a massive effort to keep all my kit and equipment clean and dust free. My two cameras took an intense beating whilst living here, but they still pulled through. 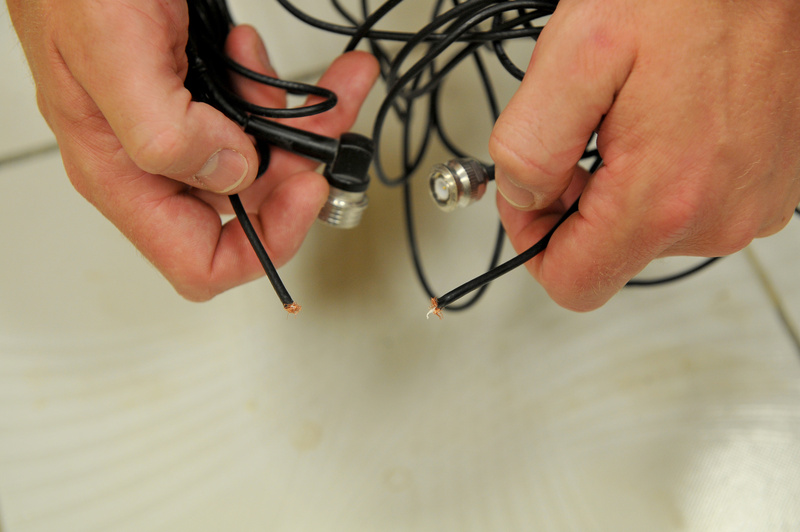 Someone had accidentally broken the main cable that gave me precious contact. So everyone can blame the sun, the sand and whoever snapped my cable, as these are the reasons why the latest blog has taken so long to get to you. The sand engrains itself into your skin throughout the day. 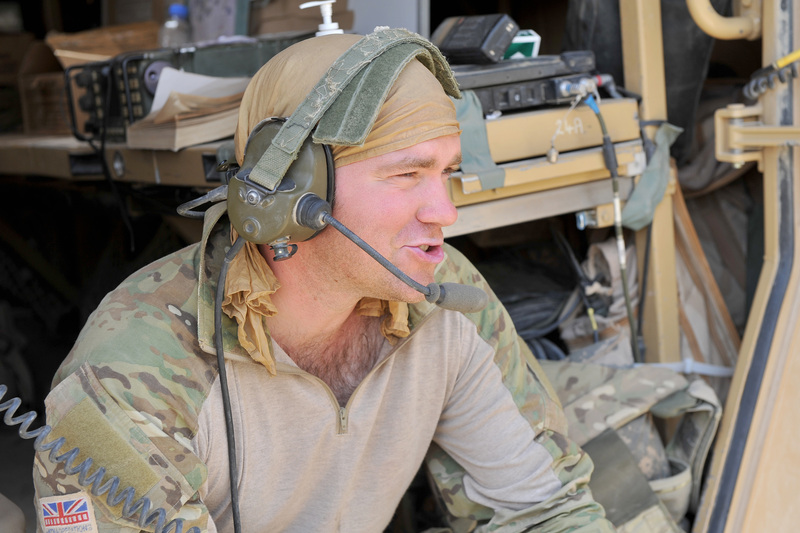 Cpl Gethin Hiscocks, 3CLSR. The Brits make use of the wind and a poncho, to pass the time. The Danish vehicles leaguered up in the background. The Oscar Charlie prepares for the future. I found a way to contact my boss using the text system in the vehicle. I had left a message and it had finally been received. I had been there a total of four days and had eaten far too much sand. My kit stunk. I had tried rinsing clothes through but only to have it dry stiff with infused sand. I was all pictured out. It was time to leave. I managed to formulate an extraction plan, as I knew there was a resupply going to happen by helicopter. I was keen to get on a radio to my boss. Through the magic of radio satellite communications, Tex made it happen. I explained what I had done, and what my plan was to get out. My boss however, had different ideas. What he had found out was that there was another Op going on relatively close to where we were. Images were required, and unfortunately I was just too close to miss this opportunity. It was time to pack my bags. The ‘Littlest Hobo’ was on the move again. Just enough time to say my goodbyes and smash one last picture of Bodo and Private Chris Jones. One last thing… Tex; you owe me 20! When three days turns into sixteen! Okay Okay, so I haven’t been around in a while.. I do have an excuse though. A little thing called an ‘Operational Tour’, but if you are not convinced about that, then maybe this, and this series of blogs will help convince you. A little over three weeks ago I was briefed to pack my bags, because I was heading out. I am sure you can imagine the look of glee written all over my face. I get a little stir crazy in my office, and as you all know. The pictures I need are not in here. The men and women of the British Army are not doing amazing things day to day just outside my office door. It’s in the field where it’s all happening so I need to get out of camp to see it all for myself. This time I was heading out for two to three days with the Warthog Group of 2nd Royal Tank Regiment. I had to jump on a flight to MOB Price to hook up with them, as they were heading out the next day, so back to the room I dashed, loaded my bags with enough supplies for the duration, plus a few extras, as I know how these things can turn out, and headed down to the flight line. At Price, I ‘touched base’ with the commander of the Warthog Group I would be attached to. It turned out I wasn’t the only one hitching a ride. There were a section of guys from the First Fusiliers heading out too. I hadn’t spent much time in the back of a Warthog, so I got straight down to the usual safety briefs. All vehicles have a running theme: ‘strap kit down, buckle-up, enjoy the ride’ – well that was easier said than done. I know I don’t get an easy time whenever I am in the back of a vehicle and this one was no different. View of Top Cover Man’s combat codpiece… The real safety briefs. Warthogs whip up a dust storm. For some reason, the dust doesn’t want to drift away from the convoy with the breeze as we roll through the desert. No no; it circulates straight into the open top cover hatch. At times I couldn’t see the groin that was 6 inches from my head (not such a bad thing really), or anyone else in the back. I was choking on the stuff. It was in my eyes. I was giving my teeth a great exfoliation with it. It was very unpleasant. 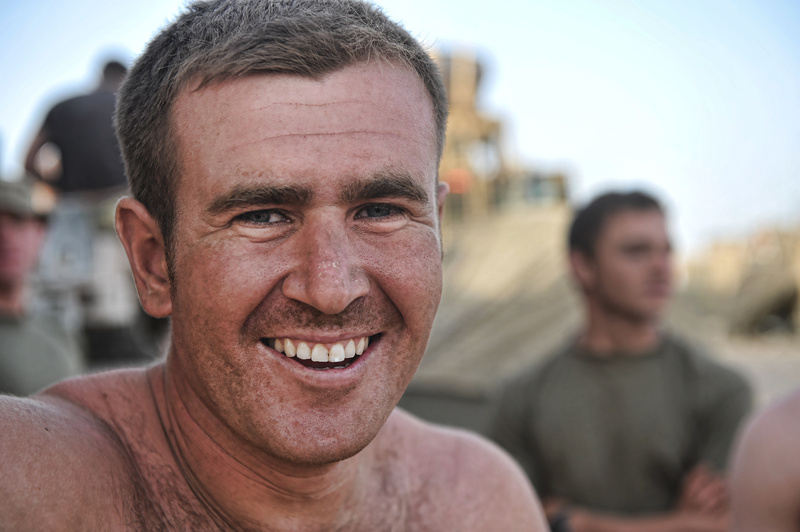 The shards of sunlight penetrated the dust and at times I could see the Afghan interpreter opposite me. Well, I say I could see him. He was engulfed in a shemagh. He knew the score. Good old Shemagh filtering out those tiny dust particles. Must pack that next time. Shemagh – protection from the sand. So on we rolled to our first destination. We were going to be in this location for approximately two days before heading off to complete our mission. “HANG ON”, I thought when this information was innocently imparted to me. I was only coming out for 2-3 days. Something smells a bit fishy, so I approached the Platoon commander from the First Fusiliers. His brief was ever-so-slightly different to mine. Five to nine days. I better start a rationing regime for my ‘skiddies’ (underwear). So there we were, leaguered up in the desert. 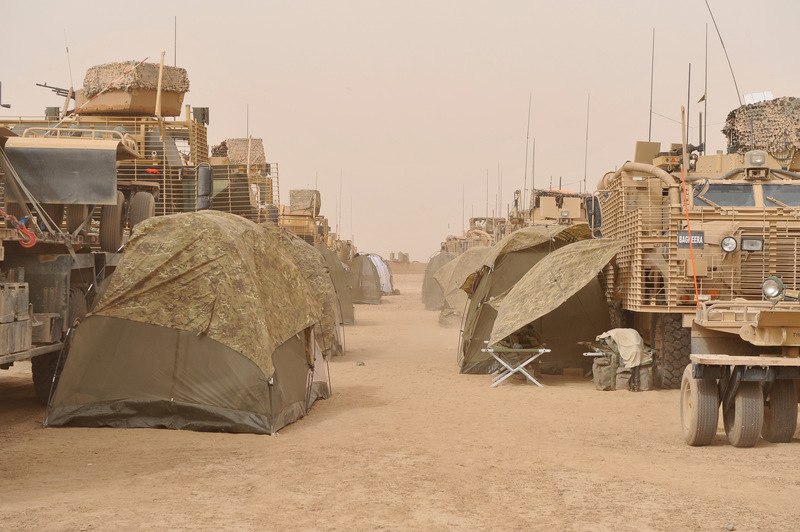 Not my first ‘camping’ experience but the first laid-up in the desert next to 10-plus tracked vehicles providing all-round protection. I felt safe. I loved spending time with both the fusiliers and the ‘tankies’. I got to know most of them, how they worked together and I felt like part of the team. They even let me borrow the radio headset so I could get a picture looking like I was chipping in with the routine work. That was good of them. There were some real characters among them, and some of them had great nicknames such as ‘Trackpin’ and ‘Diesel’. The sort of old-school nickname you acquire because you made some terrible mistake in your early career and the name just stuck. Another real salt-of-the-earth guy I had a lot of admiration for had recently come into a large some of money. 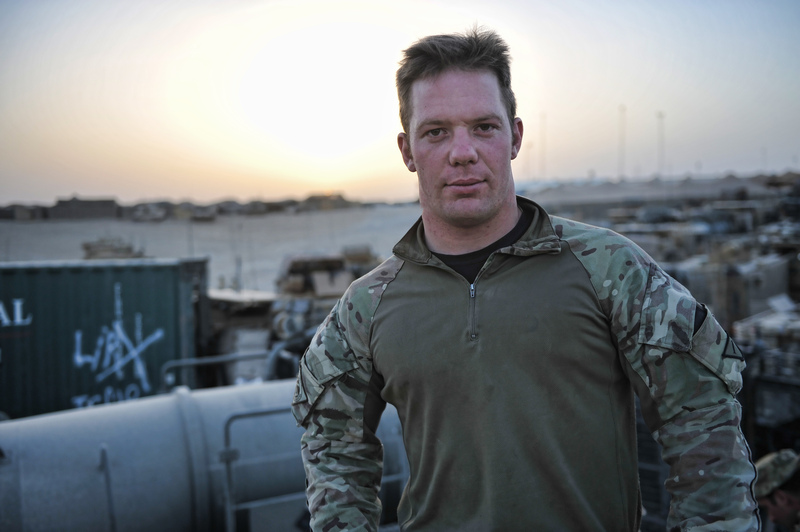 Six figures-plus, to be more precise, and he had had every opportunity to not come to Afghan on his third tour, but felt it was his duty to the younger lads, whom he had trained and nurtured through pre-deployment training. He has every intention on moving on from the Army after this tour, and I wish him all the best of luck. Don’t spend it all at once! So it wasn’t just a big ging-gang-goolie out there in the desert. Everyone had a role. The ‘Tankies’ were providing a home and security for the Fusiliers, who were in turn providing security for the Royal Engineers who were doing what Engineers do best; building ‘stuff’. While they built, the Commander of Task Force Helmand popped-in for a visit with an Afghanistan counterpart. He always arrives in style. 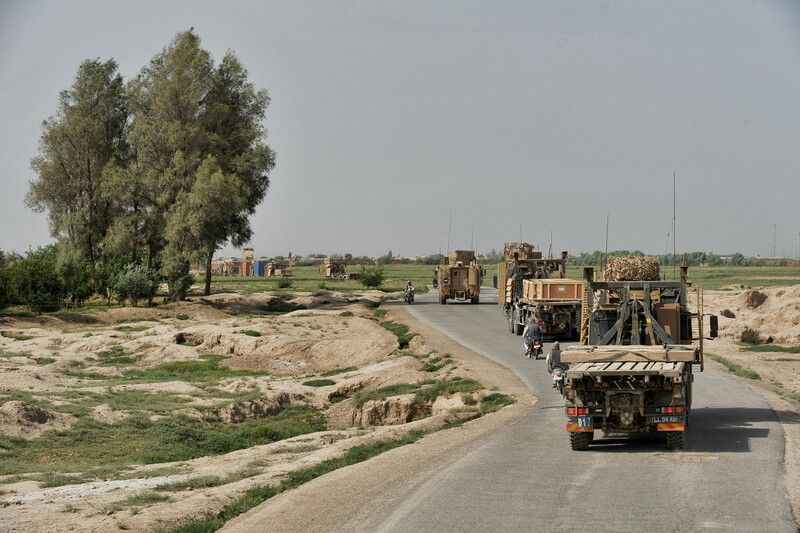 Commander Task Force Helmand arrives in style. I am going to admit, this did not work for me, and I will save you the detail..
As the days rolled by, and my sock spares dwindled, I thought I would cheer myself up by trying to catch the stars rotating around our Warthog harbour, and here is the result of 293 individual 30 second pictures stitched together. The lights in the background are the headlights of the engineer vehicles working. On day 5 of my outing I was finally given news I would be extracted the next day. I was so happy, that I dug deep into my bergan (rucksack) and pulled out the last spare pair of socks I had. These were my ‘going-home’ socks. I was happy, and so were my feet. My underwear had stood the test of time however. It is difficult to wash clothing in the desert, especially without wash powder, and when the wind whips-up sand and dust just adding an unwanted texture to drying clothes. Anyway, I was happy. I was on transport back to a base location. I made my way to the nearest phone and just like E.T, I phoned home. “Hi Cpl L, how are you doing? About your flight out. It’s cancelled as there is another Op leaving your location tomorrow. Don’t worry; it will only be a few more days.” My boss said. Heard that before I thought. I was in good spirits though, having spent time with great guys. It was 1800 hrs, and I was due to leave on the next Op at 0430 hrs the next day. Shower; Yes! Clean clothes: No!.. So hello again. 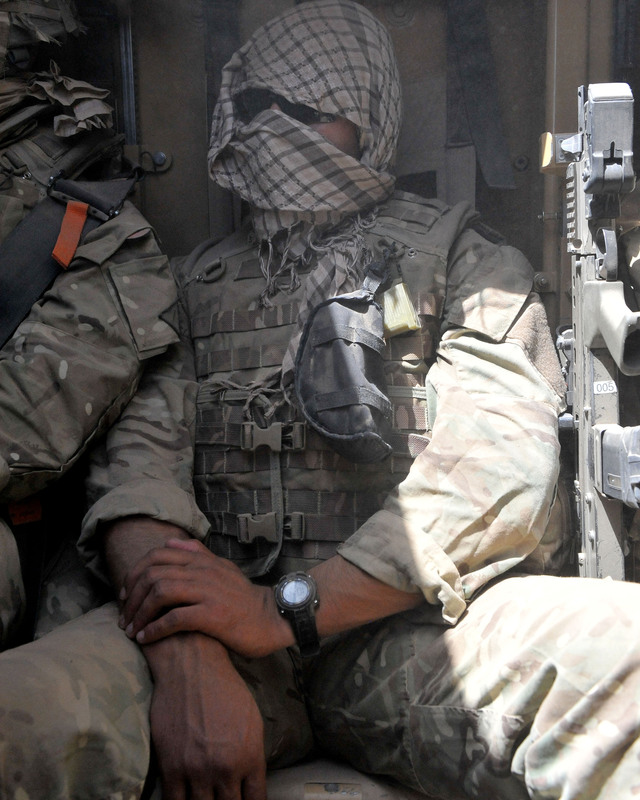 It’s good to know you guys and girls are still reading about life as a British Army Photographer, five blogs in. I have had really positive feedback from you all and for that, I thank you. Just when I thought I was getting ‘into the groove’ of things out here, what with portraits, group-shots, training budding photographers and the occasional walk-on-the-wild-side, the powers that be decided to mix things up a little, and here’s how. 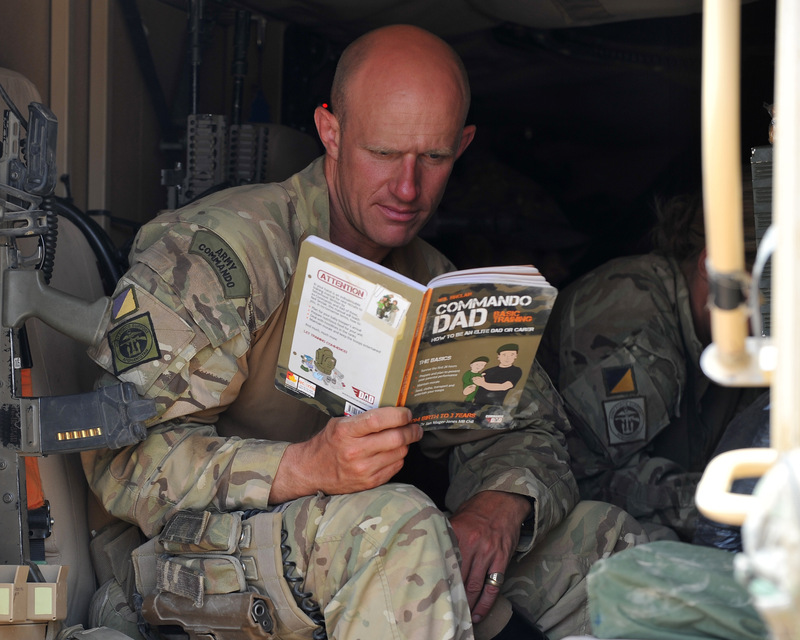 As some of you may know, my trade is lovingly nestled deep in the bosom of the Royal Logistic Corps (RLC), the largest corps within the British Army. I wear that cap-badge along with over 16,000 other officers and soldiers. 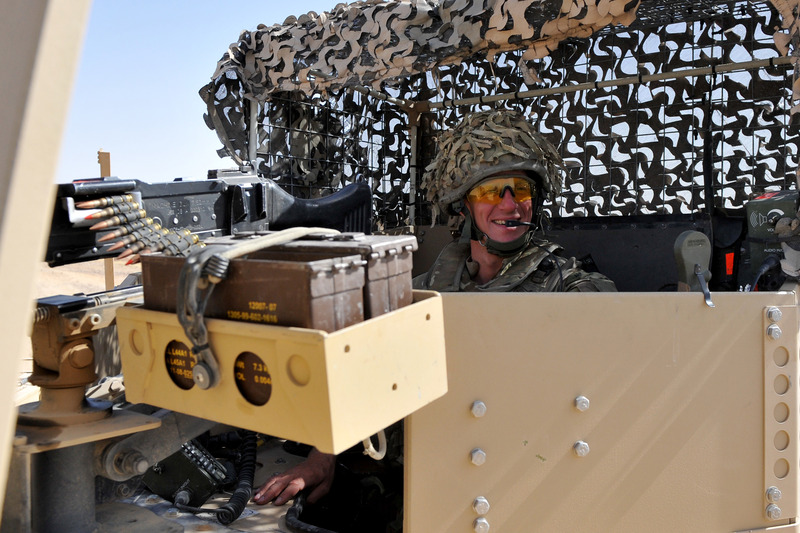 The trade groups within the RLC are vast, and include Air Despatcher, Chef, Ammunition Technician, Supply Specialist, Movement Coordinator and Boat Crewman. However, there is another group of fellow RLC soldiers that probably make up one of the largest trade groups, but maybe don’t get enough recognition or praise. (Well not from me in the past, anyway) These are the humble Drivers. 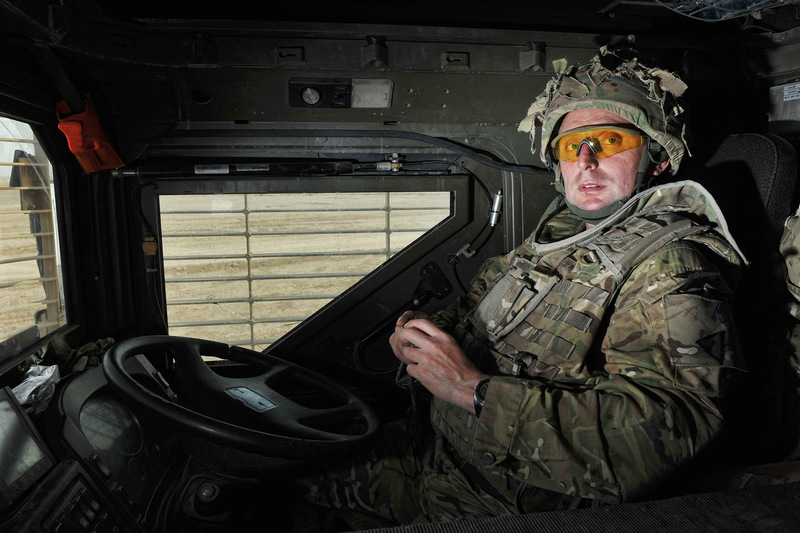 Being a driver in the Army may well appeal to the young guys at school whose dreams are filled with tearing up the road in a huge military truck or tank, but it has never flicked my switch. 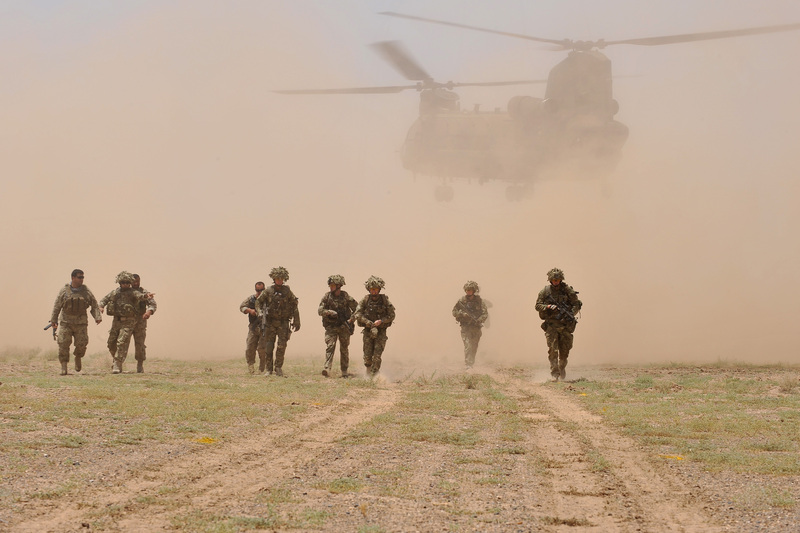 So, when I was approached by the adjutant of 3 Combat Logistic Support Regiment and asked if I wanted to come out with them ‘for a drive’, my heart didn’t exactly skip a beat. 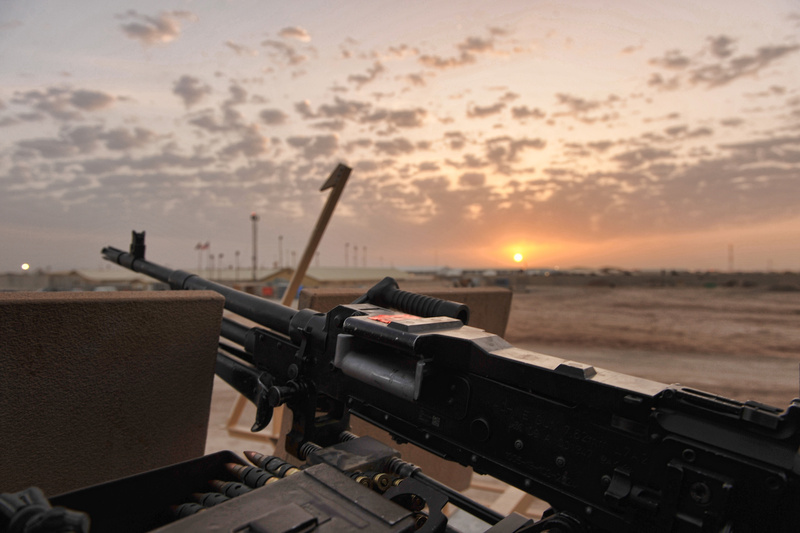 Not wanting to disappoint and having a slight curiosity of what life was like on a Combat Logistic Patrol, I checked my diary and pencilled it in. My first of several mistakes was to assume that I would be out with these guys for a few hours. I should have remembered flying around those patrols, providing valuable top-cover from a Lynx helicopter two years ago. 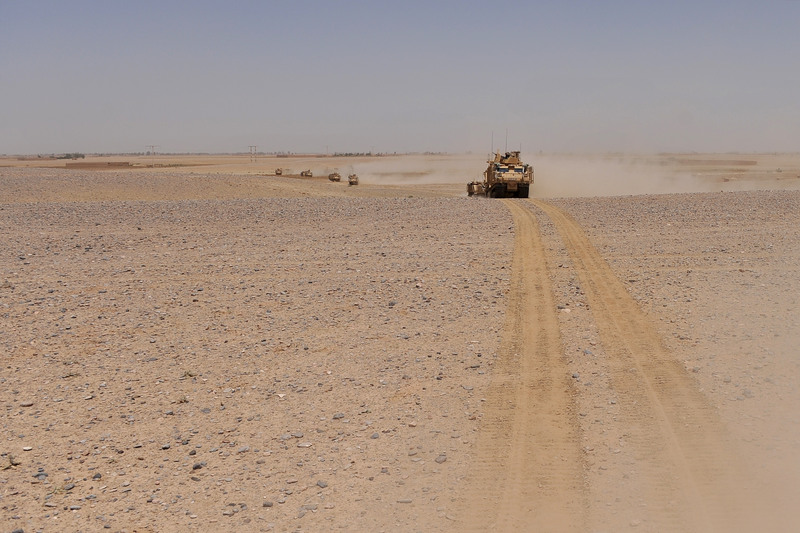 Even more importantly, I should have remembered that we used to be out for hours and hours whilst the patrol made its way through the Helmand River Valley. Anyway, having a terrible memory, lets just say I was more than a little shocked when attending the orders for the patrol, and discovered I would be out for over 24 hours. Nice! Once I had recovered from my initial shock I was hit with mistake number two; photographers, as it happens, don’t get the comfy ride. In order for me to get on the patrol I had to take somebody else’s place on it. On this occasion I was heading to the heights of the EPLS (Enhanced Palletised Loading System) as the gunner / top-cover man. An EPLS only caries a two-man crew, and as I don’t have a HGV licence, yep, you guessed it, I was ‘stagging’ (On duty/sentry at a post) on the top. I could almost feel my bladder strain as I re-checked my notes from patrol orders to discover that the journey would take around eight hours. Okay, so this was going to be a challenge for me, but one I relished. 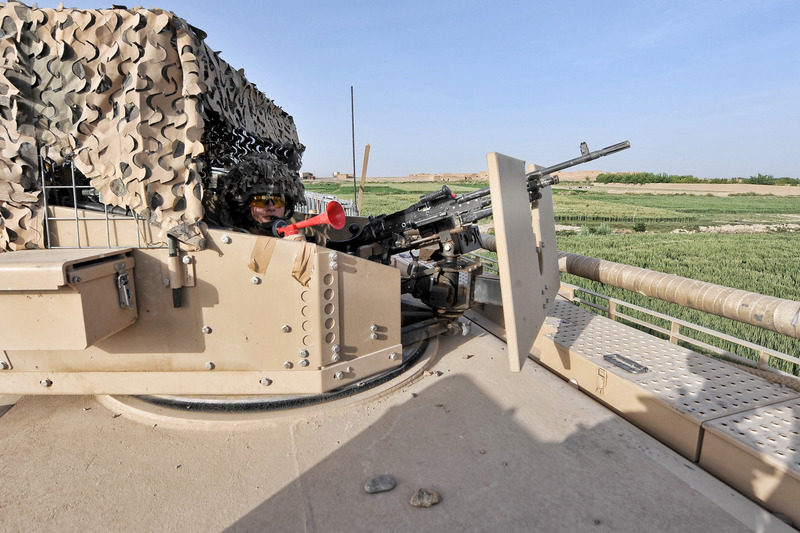 First thing to do was brush up on a few key skills that would be required such as: Patrol SOPs (Standard Operating Procedures), GPMG (The big machine gun on top) refresher training, and most importantly, ‘drop-down drills’, should we inadvertently roll over whilst out and about. At this point I was introduced to my driver (drives), a 43-year-old Army reservist named Ian. Ian was a steady hand, and through his very broad ‘geordie’ accent he guided me through the basics and the essentials of the EPLS cab. My ‘steady hand’ driver, Private Ian Coulthard. The plan was relatively simple. 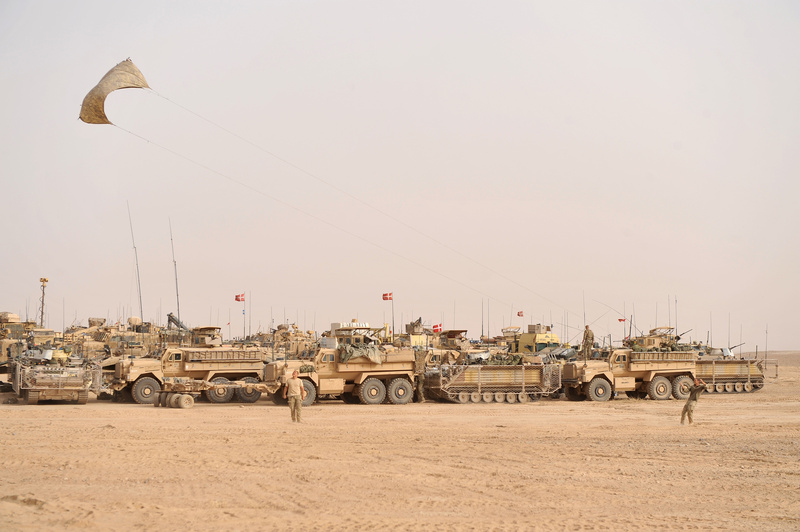 My vehicle joined by another 30 or so would make their way from Camp Bastion, down Highway 1 and through the green-zone, stopping off at each of the main locations along the way. At each location a smaller vehicle packet would break away and deliver its stores, whilst the larger packet moved on. The main convoy would remain outside the wire the whole time, so there was no rest for the top-cover man. With all the necessary familiarisation and refresher training complete I hit the sack. It was only 1600 hrs the day before the patrol, but I was due to be up and parading in the CMA, (Convoy Marshalling Area) that’s a vehicle park to you and I, for 0200 hrs. Beep Beep Beep… “Oh my god. What am I doing?” I asked myself as I clambered out of my pit (bed). It took me a full half an hour to wake up, just as I joined my fellow dreary-eyed men and women in the CMA. We were quickly put to work as there were more preparations to be made; final kit checks, communications checks, weapons checks, vehicle checks, checks, checks and some more checks. To be honest, I was impressed by how professional the whole thing was. It was reassuring to see the Squadron Sergeant Major, WO2 Turley, conducting random checks on individuals’ kit and equipment, including their clothing. 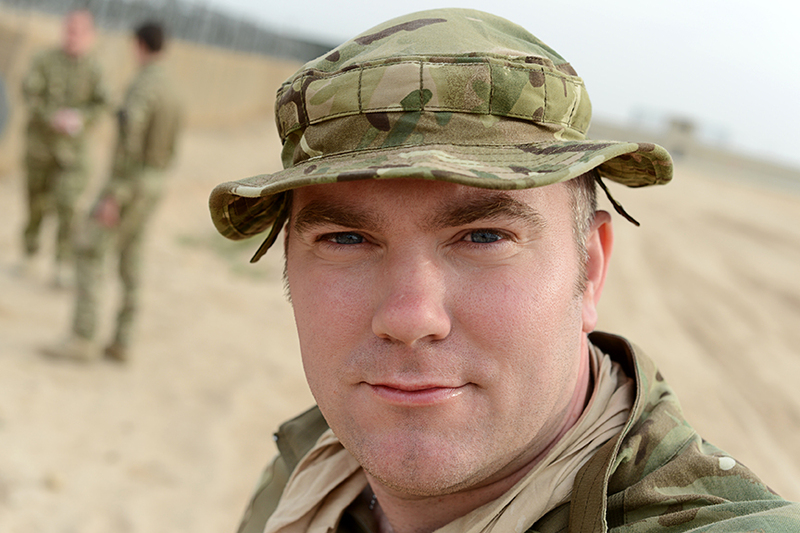 All the personal protective equipment that we are issued in the Army is state of the art, so there really isn’t any point in leaving it in your bed space. Before moving off around 0530 hrs, there was just enough time for a sausage bap, delivered to us from the kitchen by some RLC guys from another well-known trade group – the chefs. Ian and I mounted up, and away we went. We were positioned around two-thirds the way into the patrol. The sun was breaking so I managed to grab a quick shot before heading out of camp. Sunrise in the Convoy Marshalling Area. Almost immediately I realised that the journey was not going to be a particularly pleasant one. The road surfaces were dusty gravel tracks for around 70 per cent of the journey, and when you are 13 feet up and standing on your feet, boy do you feel it! Side to side you’re thrown constantly, bouncing left, right, up and down. CRACK goes your elbows as they smash into another piece of metal in the turret. I never expected it to be so rough. I stupidly assumed that big tyres meant smooth sailing. Well, there you have big mistake number three. Travelling along Highway 1 gave me a brief reprise, but watching all the other traffic squeeze every inch out of the tarmac was equally unnerving. 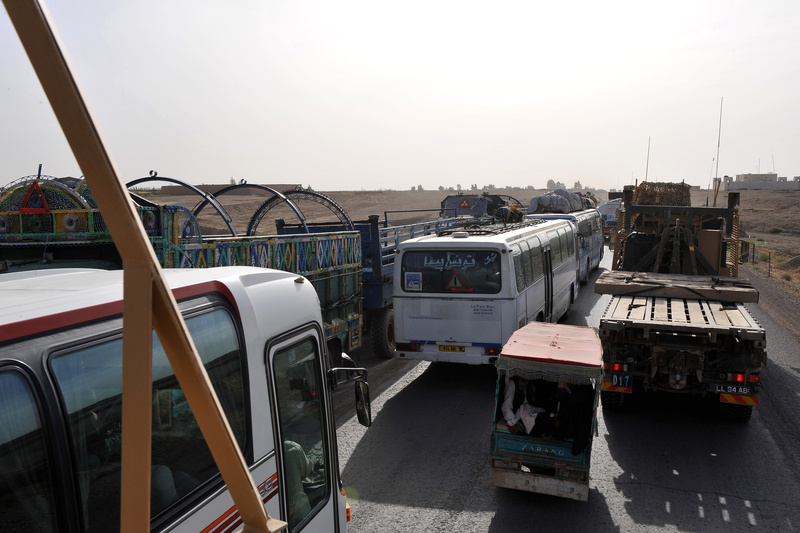 The Afghan Highway Code isn’t quite the same as the UK’s. By the time we had arrived at our first destination to drop off a few vehicles, two hours had passed. My knees and feet were fully aware I was carrying an extra 20 kgs in body armour and had also cottoned-on to the fact I hadn’t sat down in a while, so they were politely asking me to take a rest. As I was standing there observing my arcs of fire, I declined gracefully. I remember Ian looking at me whilst I performed weird ankle rotating exercises to try and sooth the discomfort, and quipping: “That was the easy part of the journey”. Well, unfortunately, he wasn’t wrong. As we progressed, uneven track became potholes, which became bigger holes, and then finally what felt like full-on rocky outcrops. 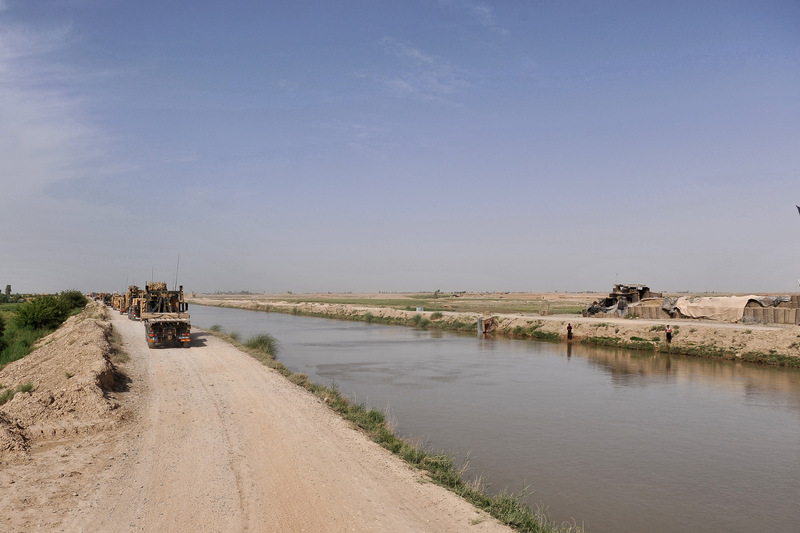 We forded fast flowing waddies, threaded huge lorries over bridges with little room to spare on either side and inched our way along the side of huge canals. The camber of which constantly fought against our high centre of gravity, trying to get us wet. My feet, knees and elbows felt every single pebble until I was given a small blessing at the six-hour point, when everything went numb! 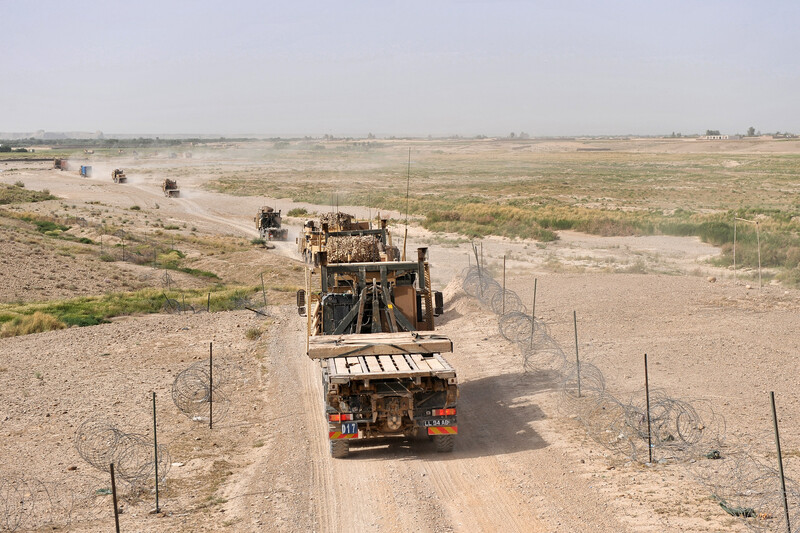 The journey down through the Helmand River Valley was otherwise a pleasant one. The landscape was beautiful, the adults and the children constantly waved and shouted hello. Sometimes the children would playfully throw stones at the vehicles in order to hear the ricochet “twang” off the armour. I could see them all laughing amongst themselves as it made the noise. Watching life carry on as normal from 13 feet up was fantastic, and everything from my chest upwards was thankful for the experience. 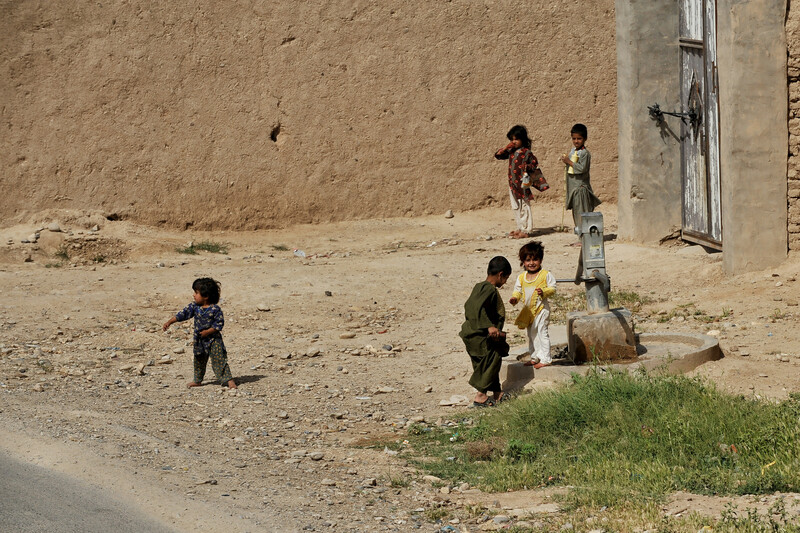 Afghan children laugh and joke as the convoy rolls by. Winding our way through the Afghan countryside. The route is slow-going due to the state of the roads. At the seven hours and fifteen minutes point, we rolled into PB Folad. Once stopped, I cautiously jumped down from the cab. My legs had never been so happy to see terra firma and they showed their love for it by embracing it horizontally, for about 10 minutes. Lying on the ground gave me time to reflect on what was happening around me. There was no time to rest for the guys who were carrying essential loads. I watched vehicles being guided carefully into position and dropping off stores, then picking up new loads. This was all done with the slickest of efficiency, as no doubt the Patrol Base commander had been eagerly awaiting this logistics patrol resupply for some time. The occupants from other vehicles, which weren’t carrying loads, helped where they could and then laid in the shade of their vehicles. Almost every person who was resting took off his or her boots and socks, and I didn’t need to be told. The relief was instantaneous, and in a cruel way, so was the respite, as in no time at all we were loading up again. In the small space of time at Folad, I had managed to force-feed myself a whole tube of Pringles (Salt and Vinegar, in case you were wondering), a Mars bar and a Twix, flushed down with a can of Mountain Dew. 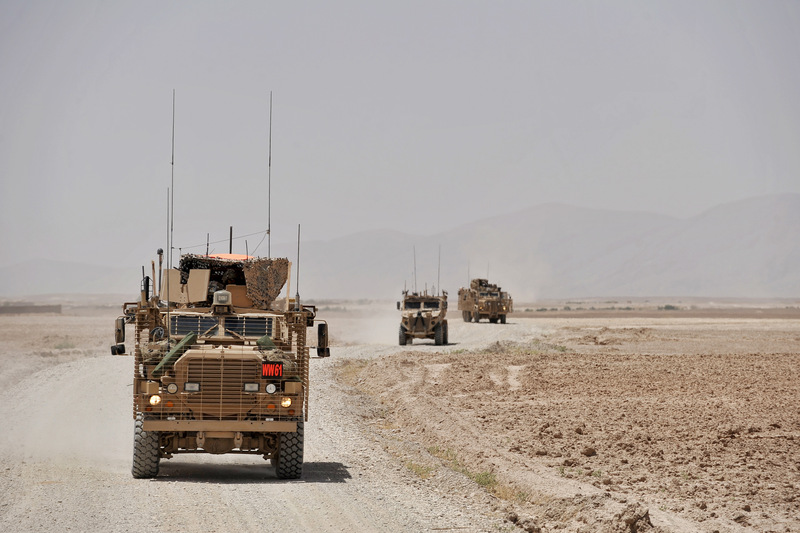 I thought I would need the energy for the return journey, but the sun was shining on me that afternoon as I was offered a swap into the Mastiff command vehicle. I am not even sure the officer had finished the sentence, and I had thrown my bag in the back and jumped on a seat. Not the comfiest of seats in the world, but I certainly wasn’t going to be complaining. I said farewell to Ian and wished my replacement luck. We were on the road again. The journey home was pretty uneventful. There isn’t much to look at from the back of a Mastiff vehicle. For safety reasons you are strapped very tightly into a four-point harness, and it feels like being in an inverting roller coaster safety seat, only without as much fun, screaming or somebody throwing up next to you. 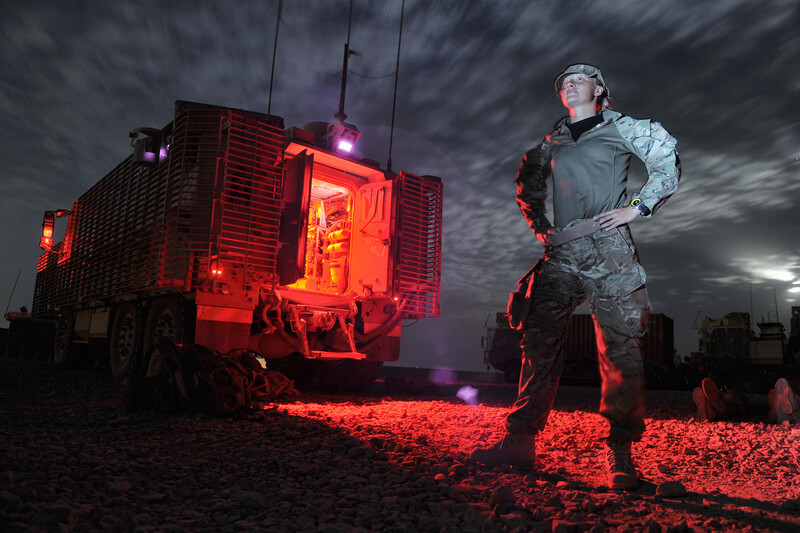 I did manage to grab this very quick shot of our resident top-cover woman, Cpl Sheridan Lucas. 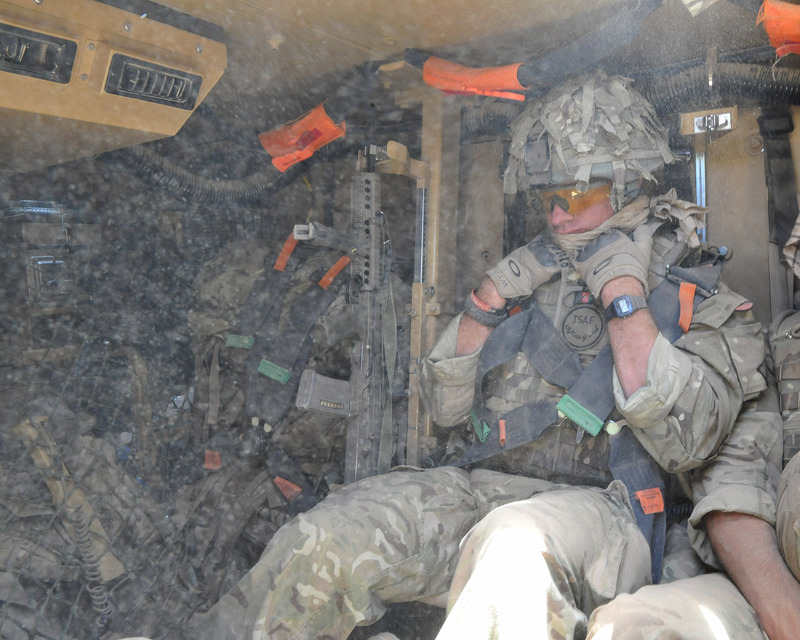 Cpl Lucas keeping a keen eye out on her arcs in the Mastiff. We had a slightly longer break at one of the locations on the way back, so that the drivers could have some enforced rest and possibly a bit of shut-eye. I didn’t sleep for the two hours, but spent the time trying to convince the occupants of my vehicle (not the driver, who was flat-out) that it would be a great idea to let me experiment with some lighting techniques I had been mulling over during the last five-hour ‘roller coaster ride’. Here are the results. I am reasonably content with the outcome considering how long I had been awake. 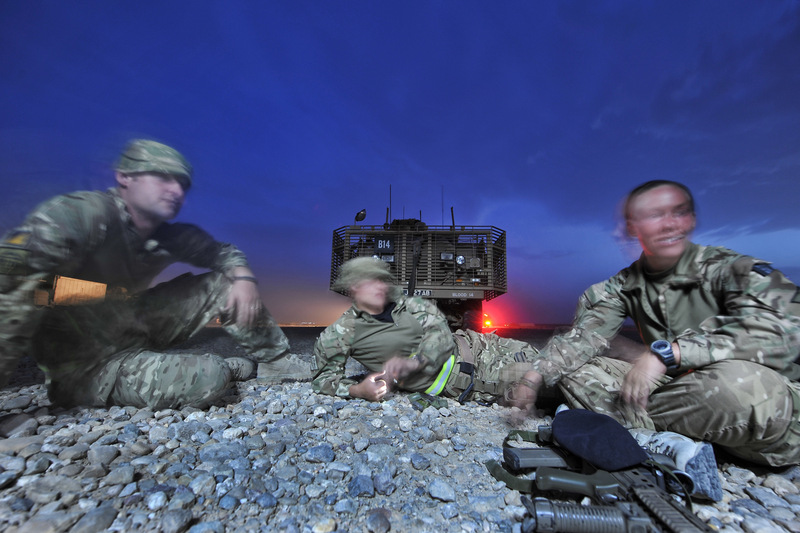 The other soldiers from my Mastiff chill and chat at dusk during enforced rest on the return journey. 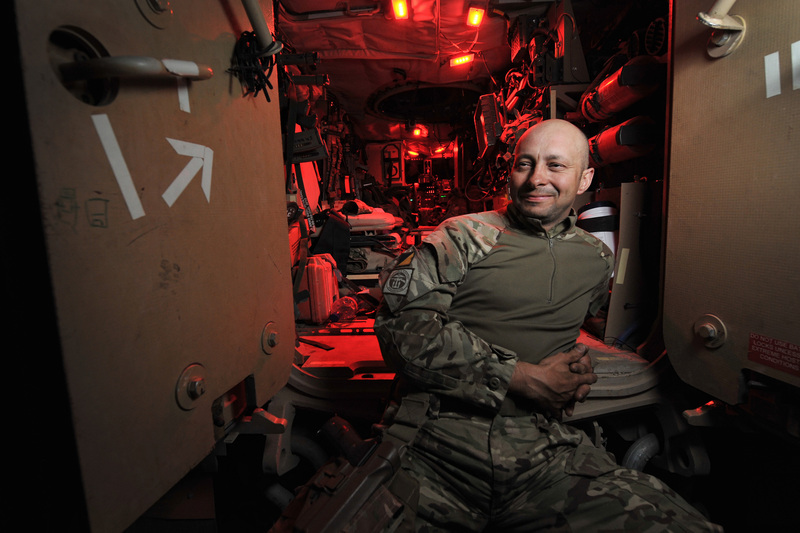 WO2 Grant Turley poses for one of my lighting set-ups. Corporal Lucas posing for a long exposure before waking troops from enforced rest. 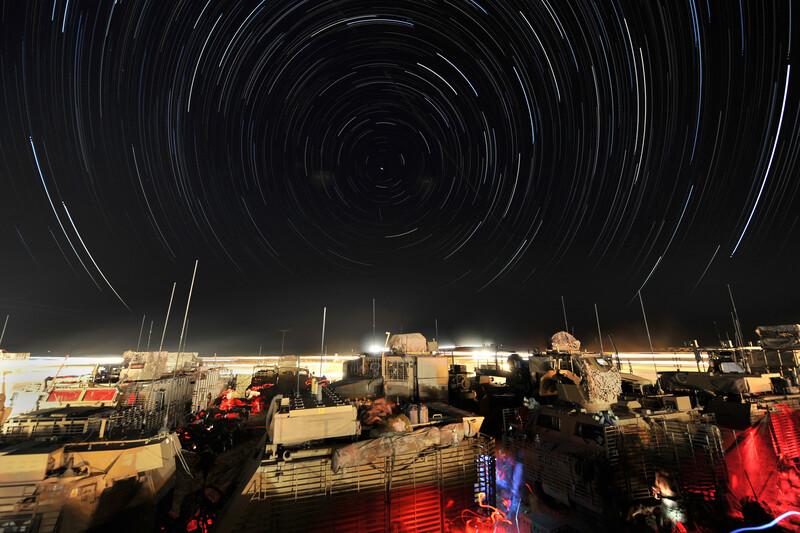 When we finally rolled through the gates of Camp Bastion it was 0200 hrs. 25 hrs after my stupid alarm clock forced me out of bed. I sighed in relief to the Squadron Sergeant Major and made some dribbly comment about being happy it was all over. He laughed at me, and then educated me that every one of the 30-odd vehicles needed to be refuelled, which took time from two petrol pumps, and then all kit had to be ‘squared away’, weapons handed back, cabs cleaned out, only after dropping the loads. I felt pretty humbled at the time. I am not ashamed to say that I was, how we say, ‘baggage’. I left the crews and headed back to my bed. Having spoken to the adjutant the next day, I am reliably informed the last person made it to their bed two hours after we breached the gates of Bastion. That’s some going as far as I am concerned. I now believe that being invited out with the Combat Logistic Support Regiment on a Combat Logistic Patrol was a real privilege. Being out with 32 Squadron for over 24 hours has smashed any misconception about what these extremely robust individuals do for a living. 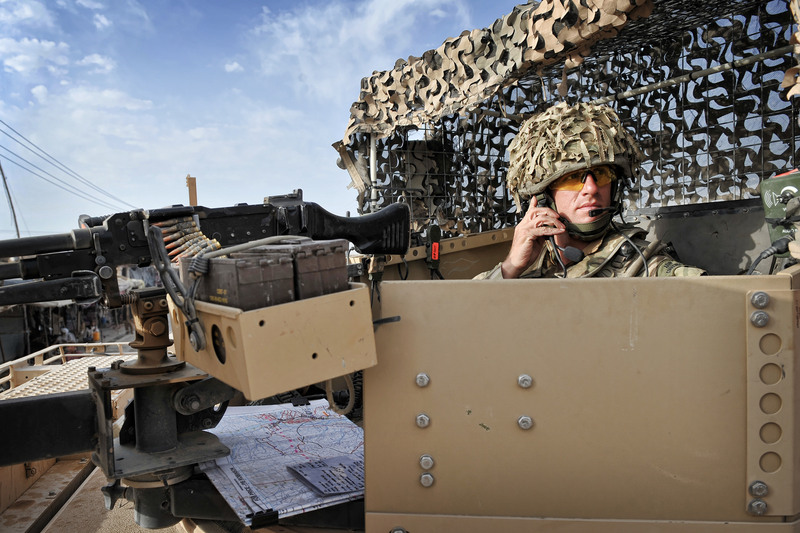 It is an unpleasant job due to the sheer time involved in moving tons of kit around a battlefield, all the time under threat and needing to be that little extra bit alert to your surroundings, when fatigue may well be knocking at your door. 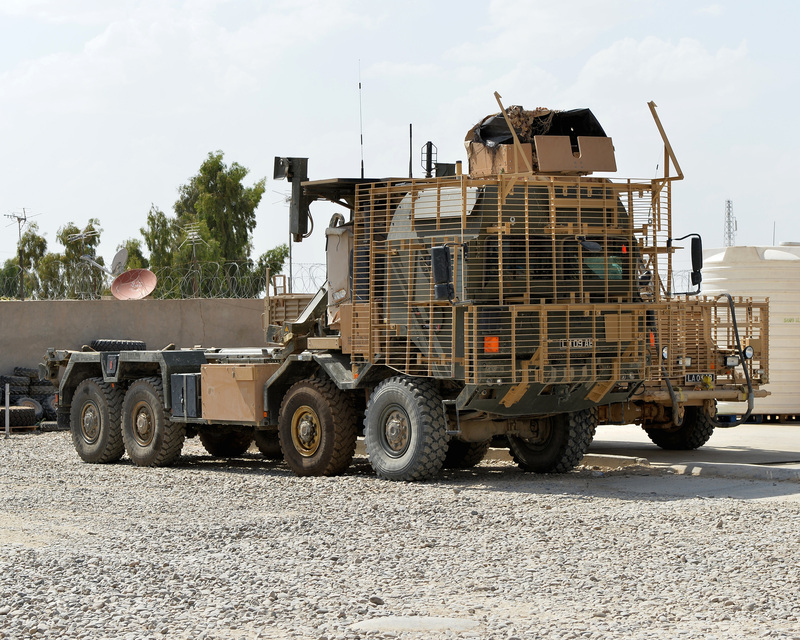 32 Squadron, 3 Combat Logistic Support Regiment, and the rest of the driver trade in the RLC, I wholeheartedly take my hat off to you…My eyes have been opened.